Story, Art and Cover by Adam Hughes. 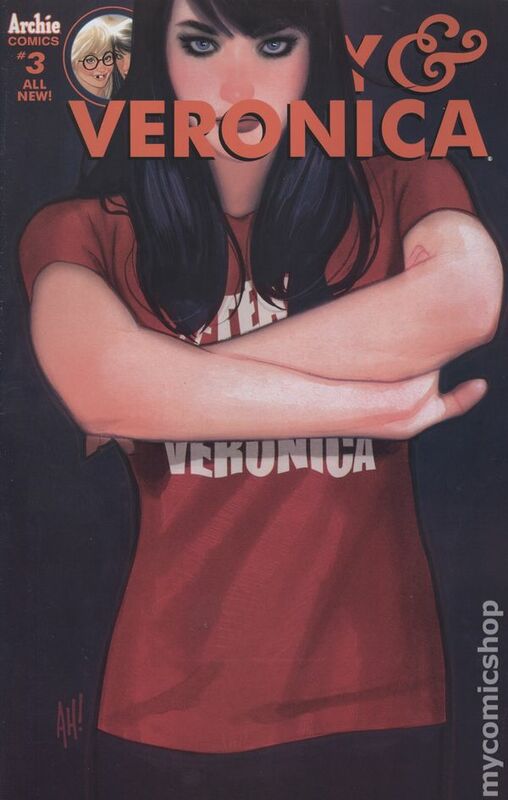 All Heck breaks loose in Riverdale as the final act of BETTY VERSUS VERONICA reaches its combustible conclusion! Divided by Pops' Chocklit Shoppe being bought out by Big Coffee, the forces of Team Betty and Team Veronica clash at the Halloween dance. It's a mad, mad, mad, mad world as Betty and Veronica finally face off in a street fight that Sonny Chiba would envy. Betty has the strength of 11 small girls but Ronnie has the reach of an NBA All-Star-who will win? Who will lose? Will there be sniffling? The streets of Riverdale run red under the rockets' red glare (literally; this isn't just hype to get you to order) and no one will ever be the same (slight use of hyperbole there)! 32 pages, full color. Rated T Cover price $3.99.